“Store Management has the right to accept, decline or limit the use of ANY coupon(s). Store Management has the right to limit the quantity of coupons and/or items purchased in a single transaction, by a single Customer, or in a single day. Kroger accepts digital coupons and they can be viewed directly on their website or through their mobile savings app. Simply register for a free account, ’clip’ the coupons you would like to add and scan your rewards card during checkout to redeem your coupons. 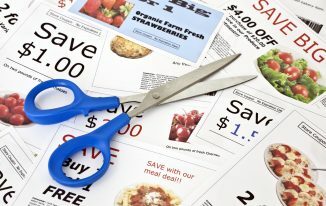 This is super easy and allows you to add coupons while you shop and doesn’t require the cost of a printer, ink and paper. While much of the Kroger Loyalty card has been replaced by their mobile app you should still register for an account with Kroger so you will have money saving offers and coupons sent directly to your email. More about this can be found HERE. The more you spend at Kroger the more you earn fuel rewards. Earn 1 point for every $1 you spend (earn 2 point for every dollar spent towards the purchase of any gift card). Every 100 points can be redeemed for .10 off per gallon of gas purchased from a participating location. More about this program can be found HERE. 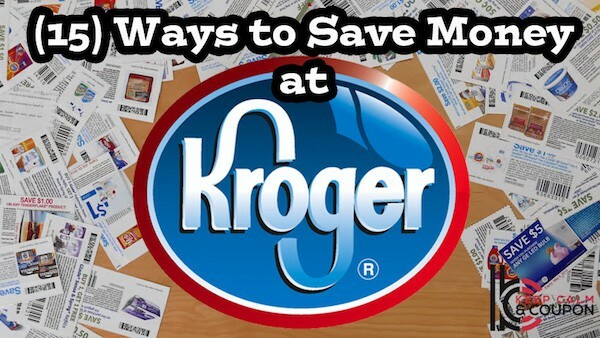 Kroger now offers a mobile app that can help manage all of the money saving programs listed above. 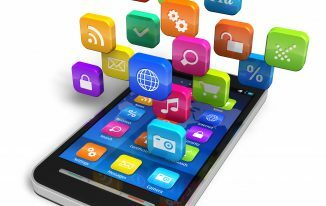 With this app you can add digital coupons, shopping lists, view weekly sales flyers, view earned gas rewards and even check balances on gift cards. Click HERE to see all the details on this app and for instructions on how to download and navigate it as well. 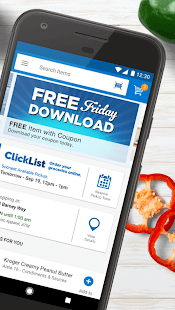 One of the benefits of using Kroger’s Mobile App is having the ability to load a coupon each Friday that is valid for a FREE in-store item. Free items vary from location-to-location so check your specific store each week to see what they have to offer. 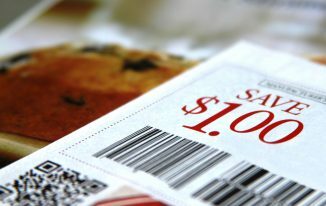 Kroger allows shoppers to ‘stack’ manufacturer’s coupon offers with any store sale/coupon offer for double the savings. Don’t forget Kroger also is a participating store in several cash-back rebate programs such as ibotta. This program allows you to get rewards for using prepaid debit cards (NOT a credit card). You earn 2 point for every $1 spent on groceries at a Kroger store (1 point for purchases outside Kroger). For every 1,000 points you earn you will receive a coupon good for $5 off your next purchase at Kroger. Click HERE to see more details on this program. Guaranteed to be as good as their higher priced brand-named counterparts Kroger offers several lines of generic products to include Psst, Check This Out and Heritage Farm. Stop paying more for brand names and put more money back in your pocket each week. Kroger now offers their own signature line of certified Organics Simple Truth. These are found throughout their stores and are more affordable than other name-brand organics on the market. Select Kroger Stores now participate in the curbside grocery pickup program ClickList. 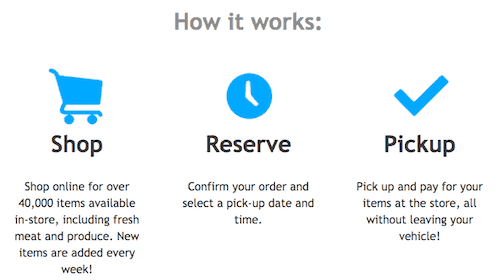 This allows users to create virtual shopping cart online and pick up their groceries curbside. A Kroger associate is even available to load them into your car if needed. The best part – you can still use your coupons! More details on this program and its availability can be found HERE. Kroger offers periodic ‘Mega Sales’ that offer customers deep discounts on select products purchased in bulk (for example 10 for $10 deals). These vary from store to store but are shown in their weekly sales flyer. While shopping at Kroger keep your eyes open for various ‘Manager’s Specials’ found throughout the store. These are generally placed on perishable foods getting close to their sell-by dates. Just look for the yellow and red ‘woohoo’ tags. Similar to a Manager’s Special keep your eyes open for tags labeled ‘closeout’. These are generally placed on products or lines that have been discontinued and are discounted as a result. Kroger stores participate in Catalina coupons as well. These are the coupons that are printed out and handed to you upon checking out from a participating store. Make sure you look them over before throwing them away. Often times you may find some valid for cash back on your next visit. These are like free cash.